SPIRITUNITY: Put On Your Wonderwear! Coined by Sam Keen, a noted American author, professor, and philosopher, wonderosity is the marriage of wonder and curiosity that resides inside all of us. We perceive our world through our five senses. But if we rush through life without connecting with our senses, life becomes blasé. We detach from the sensuousness of it. And when that happens, we miss the wonders and beauty of life. Wonder begins in our senses. It bubbles forth from our natural curiosity about life. It is a spiritual practice designed to awaken, or reawaken, us to the sense of Mystery that animates all beings. When we lose the capacity for wonder, when we curb our curiosity, we may as well be dead. This morning on my patio, I stood in awe of the fog that had crept in on little cat's feet over night, to borrow Carl Sandburg's apt metaphor. The fog had enveloped everything in sight and lent a stillness and peace that touched me deeply; now it remains with me. While scientifically I know how fog is created, the wonder of it is something that can not be communicated in words...it must be sensed and felt to get the full experience. I've always found fog to be mystical and magical. And today it made me stop in my tracks and take notice. I sat with the fog until it loosened its embrace on all that it held so closely, like lovers parting from a kiss. What romance! Spirit fills our beings with wonder. It sets our senses tingling. The things that spark our curiosity and awaken our wonder are endless. Let the practice of wonderosity yield new insights and sensations. Put on your wonderwear and go on a wonder hunt to wake up your sense of wonder. You don't have to travel far to do this, but you can if you so choose. Find a place you've never frequented and acquaint yourself with its surroundings. Botanical gardens, forests, and zoos are wonderful places known to evoke wonder. Now get your senses involved. What draws each one? Do any sensations evoke memories or emotions? At different times, concentrate on a different sense and see what opens up within you. Let your senses tour everything around you. Sit still. Read the signs. Feel the energy penetrate your core. Let wonder work its way into your soul. Turn life into something wonderlicious. 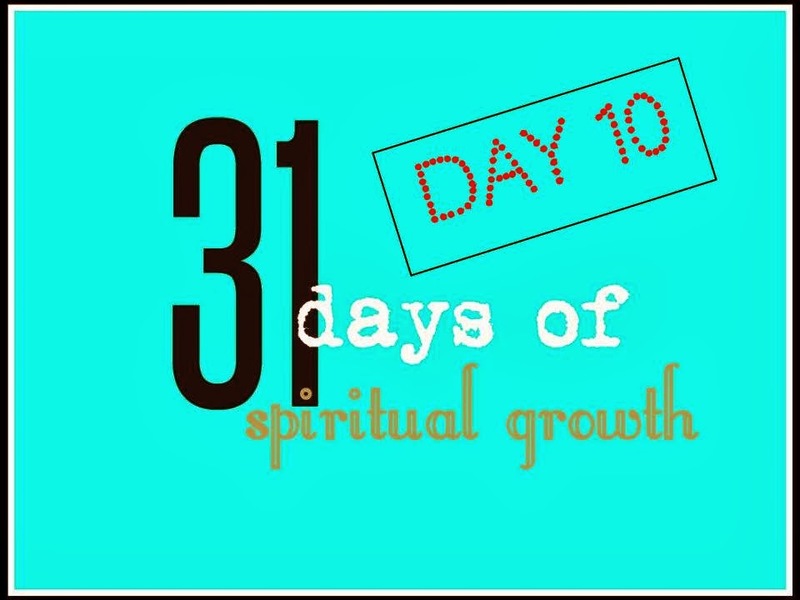 Read the introduction of 31 Days of Spiritual Growth here, and find links to all the posts in this series. I love how our body temple (the sacred geometry) reveals the image and likeness of spirit and is a means by which we explore this physical realm through our physical senses. Each and every day I am in high gratitude! Thank you, Gena. What would we do without our physical senses? The human body is an amazing thing and it truly is a temple for Spirit. OMG! Penny! I was just thinking these type of thoughts this morning. The wonder of it all....Of all the millions of life on the planet in all their shapes, forms, and sizes. That grass just grows and the prairies exist without anyone taking care of them. That a baby grows and learns. Just too much to write down. I was in wonder all day about every little thing. You see something made and can think of all the people that made it happen. It truly is wonderful and amazing and awe inspiring! P.S. LOL I love the "put on your wonderwear". You are so very creative! It is amazing, isn't it, Kathy! Makes me think of the verse, "Consider the lilies of the field; neither do they toil, nor spin," meaning Spirit takes care of everything and so there is nothing to worry about in life...everything flows mystically and magically. How can we NOT stand in awe and in wonderment? It's too amazing to ignore. Thanks so much for sharing. I look forward to hearing more from you. Amen! And there it is again, in scripture. :-) The message is clear and repeated over and over again. I, for one, have gotten it! I love, love, love the combination of those two words, wonder and curiosity. Wonderosity. I'm adopting it and I'll be sharing it with my community! Thank you Penny! Peggy, it is an awesome word, isn't it! It's just one of the those perfect words. I'm sure your community will love it, too! Beautiful thought and you have conveyed wonderosity so poetically :) Nature offers so many such moments ...every morning on way to work awe-eyed I look at the trees and the birds perched upon them...sunrise and sunset again remind us that we are truly alive and need to be grateful for these moments! Nature is a wonderosity itself and offers so many moments for us to stop, pay attention, and appreciate. There is so much for which to be grateful. Those are good questions to ask. It would be a much better world if people would make the choice to get along and live in harmony, but unfortunately, they don't. But that's the power of choice. We can choose to have those people in our lives or not. If not, then just let them fade harmoniously away. Thanks for stopping by and sharing your thoughts and wisdom.